Throughout the nineteenth century, cultural institutions such as the Boston Athenæum felt some responsibility for establishing and exhibiting records of human greatness in the form of painted or sculpted portraits of famous persons. By the time of the Civil War, it owned over eighty portraits of men and women of various origins and epochs, some of which the institution had specifically commissioned. 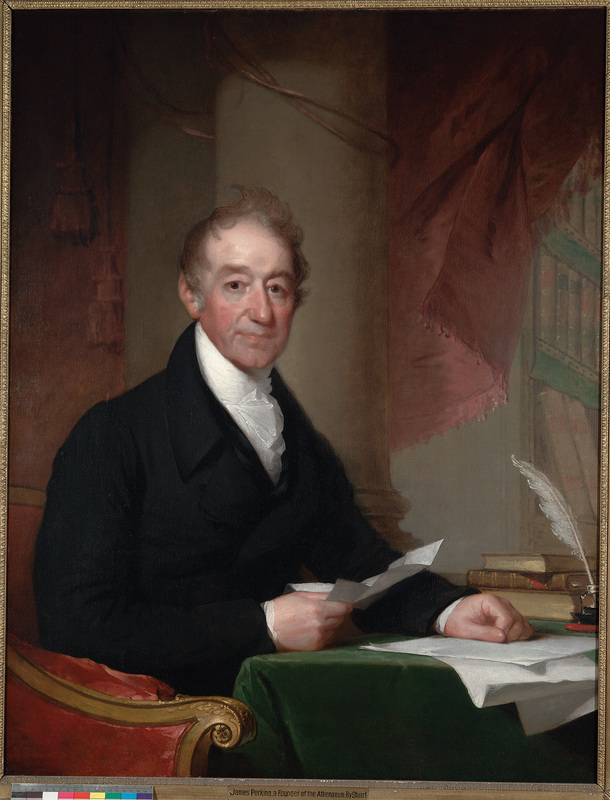 The first of these was Gilbert Stuart’s portrait of James Perkins, Jr. (1761 - 1822), an international merchant and patron of the Athenæum. Perkins was active in its administration in its formative years and became enshrined in its history when, in 1822, he gave the Library his house on Pearl Street.